Europe’s well-meaning attempts to improve the sustainability of palm oil production may be having the opposite effect, writes Hiroko Shimizu. Hiroko Shimizu is associate researcher at the Institut économique Molinari. At the beginning of April, the European Parliament voted in favour of a resolution on palm oil and rainforest destruction that includes setting up a single certification scheme for palm oil imports by 2020 to guarantee that only sustainably produced palm oil enters the European Union market and to require that information on food packaging or accessible through technological features indicates that any palm oil content is produced sustainably. Recently, many environmental activists and politicians have demanded government policies based on concepts of “sustainability”, “carbon neutrality” and “green” sourcing. The goal of these green policies is to minimise human impacts on the environment. Of course, and as always, those goals are laudable: one cannot help but think that it is good to try to produce stuff without impairing the environment. However, there is reason to wonder if this fight against palm oil is really going to be effective. First of all, it should be recalled that palm oil cultivation results from worldwide demand for affordable vegetable oil. This demand is not going to disappear. All cereal crops present some advantages and disadvantages. It is no surprise that the World Wildlife Fund has also warned against soy production because of encroachment on the Amazon forest and other valuable wild lands in South America. The question to be solved is how to ensure that demand for vegetable oils is met with minimum environmental damage in the long term. Answering this question requires acknowledging that palm oil has obvious advantages in terms of productivity, production volume, price, quality and versatility compared to other vegetable oil sources such as rapeseed and soybeans. This explains its success in world markets. For example, oil palms produce almost 10 times more oil per hectare than soybeans and more than five times more oil than rapeseed. Also, oil palms require about 70% less fertiliser, pesticides and fuel to produce the same amount of rapeseed and soybeans. Thus, replacing palm oil with other crops would result in more degradation of the environment. Even more importantly, one should avoid the mistake of believing it is possible to separate economic growth and environmental improvement. Indeed, a history of deforestation shows that as much as nine-tenths of all deforestation caused by human beings since the emergence of civilization occurred before 1950 as people needed to clear massive amounts of forested land to provide themselves with shelter, food, warmth and a multitude of objects. The significant increase in the use of coal in the early decades of the 19th century marked the beginning of a reversal of this trend, which was later accelerated by the advent of natural gas and petroleum that not only acted as substitutes for biomass fuels but also drastically improved agricultural productivity and eliminated farm animals that consumed a significant portion of agricultural crops. France was perhaps the first major country to experience what has since been termed a “forest transition” as its forest area expanded by one-third between 1830 and 1960, and by a further quarter since 1960. Similar processes, although of varying intensity and scope, have been occurring in all major temperate and boreal forests and in every country with a per capita gross domestic product now exceeding US$4,600 and in some developing economies, most notably China and India. 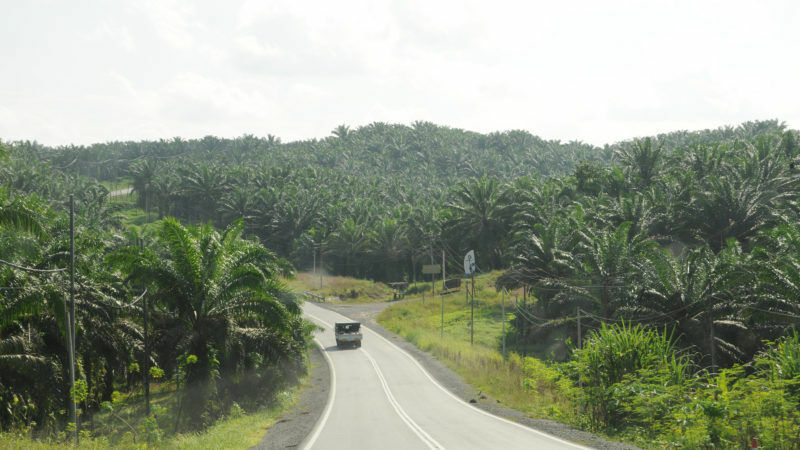 In Malaysia – a major palm oil producer – forests are expanding, disproving the EU Parliament’s claim that palm oil always leads to deforestation. In Indonesia today, people die 9.49 years sooner than in France, with 7.6 times the mortality rate for babies under age one, and they make 84.43% less money. They need to get richer. In doing so, they will be able to take better care of their environment, which by the way seems already to be happening. The European Parliament has proposed tariffs, trade barriers and other centralised political tools. This may give us the feeling that we are doing the right thing, but it is not going to help poor countries get richer and experience a forest transition or any other environmentally friendly transition that may be needed. A much more decentralised system based on the responsibility of all players with “skin in the game”, be they producers or buyers (manufacturers, political bodies), along with well-defined property rights and competition, may be a better way to ensure that economic development, much needed in poorer countries and even sometimes in our own countries, goes hand in hand with a better environment. In the EU Parliament’s palm oil report, and in the wider palm oil debate, we get the impression that a developed Europe has the moral right to reduce market opportunities in emerging countries without realising that this is going to hinder their economic development and their environment as well. This is exactly contrary to the long-term goal we should be aiming for.